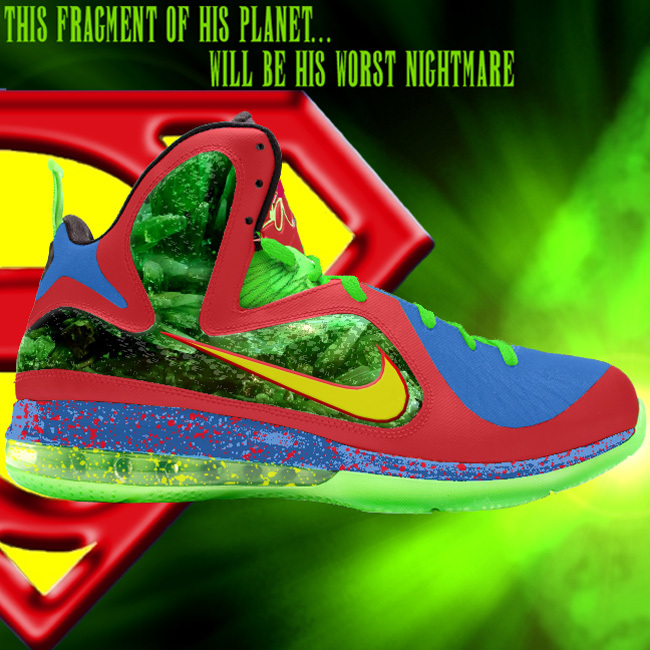 Everyone seems to have become brainwashed into thinking that the soon to launch LeBron 9 P.S. Elite in Wolf Grey/Mint Candy-New Green-Pink Flash style #516958-001 is a “South Beach” colorway. 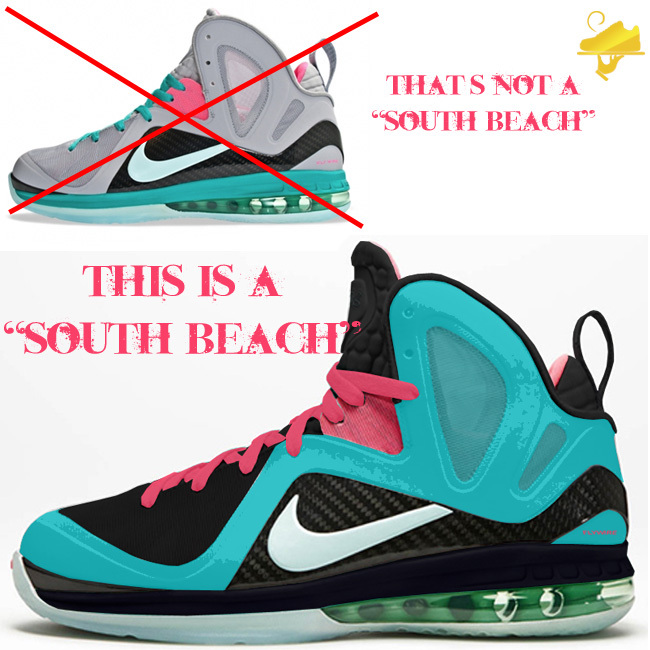 When did a “South Beach” consist of an upper that is wolf grey? When did a “South Beach” not include filament green as a main color? Well, I had to take things into my own creative cooking hands and offer a remixed dish. What you see above is exactly that. 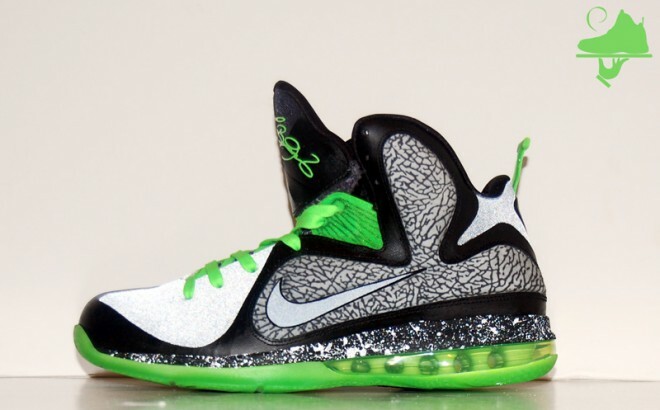 Send me your wold grey/Mint candy LeBron 9 P.S. Elites and I will paint them to a proper filament green and black colorway as a “South Beach” should be done. The interior will be dyed and the pink accents will remain. The result? A proper custom “South Beach” LeBron 9 P.S. Elite. Scroll down after the jump to purchase the custom job (shoe not included) and you will be instructed on how to send me your pair with a pre-paid label. 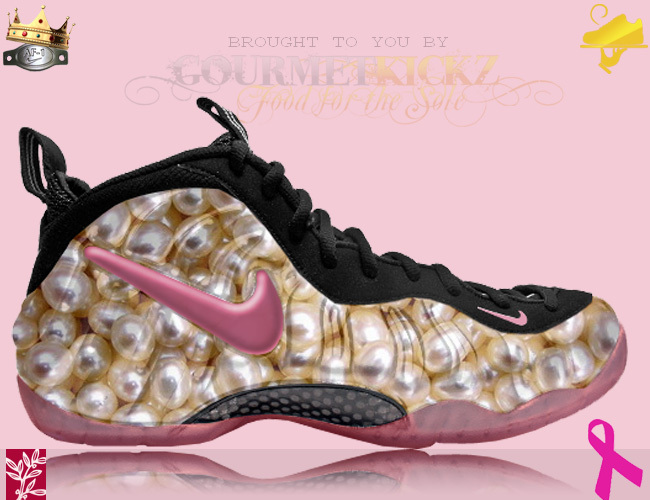 What you receive back will be a true South Beach Masterpiece by yours truly Chef of GourmetKickz. 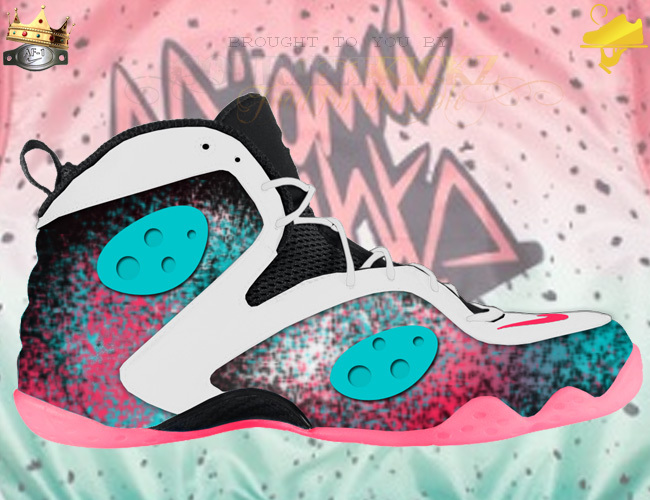 In light of the rash of other Miami Nights themed customs being revealed, Chef has decided to do yet another preemptive launch with this Custom “Rooke Nights” Nike Zoom Rookie Foamposite theme after the LeBron 8 V2 Low “Miami Nights”. Keep in mind that while the above is just a mockup, the completed actual product is sure to look 1000x more amazing. If you are not used to Chef’s pre-orders, head on over to his “Mockup Vs. Actual Product” Comparison Image Gallery to see how other mockups have been brought to life. If you have confidence in Chef like the dozens that did when pre-ordering his “King of the Galaxy” LeBron 9 Foamposite then you can head over to the AF1King Shop and pre-order a pair or add them to your cart after the jump. 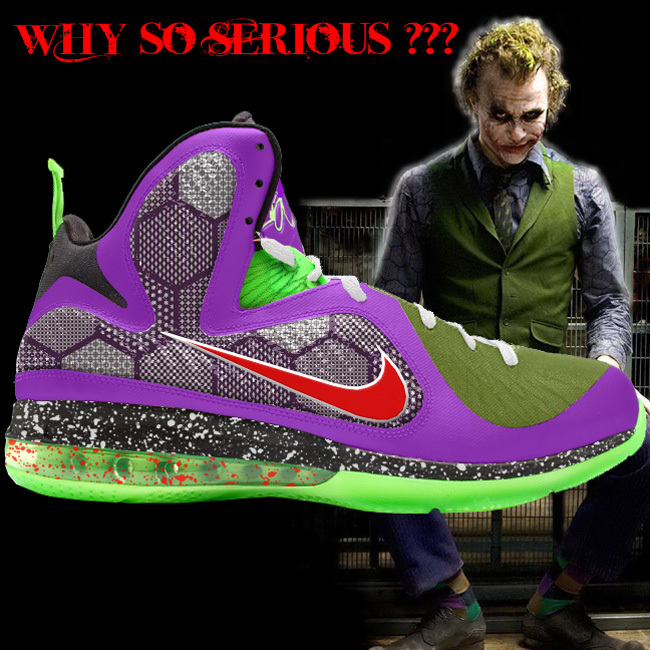 The LeBron 9 Elite Taxi colorway is dope, but is it really deserving of the “Bruce Lee” nickname that some have assigned it? NO! Chef has tossed some ingredients into the pot and cooked up a dish more aptly named for the founder of Jeet Kune Do. 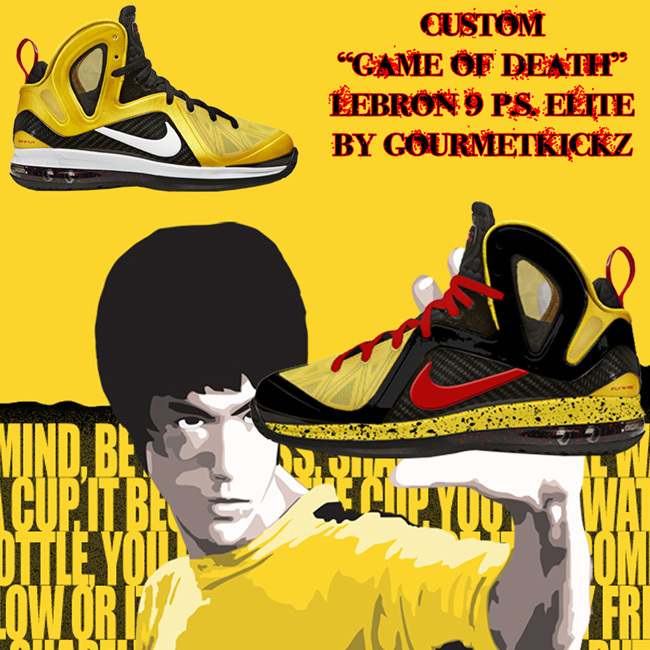 The custom “Game of Death” LeBron 9 Elite. This shoe is simple yet effective in achieving its goal…. kill the OG Taxi! Most notable the upper has been changed to black, the midsole gets a makeover to yellow with red flecks, and the swoosh is bloodied. Head on over to the AF1King Shop to cop these now or add them to cart after the jump.